12/8/09: Give peace a chance! Last week President Obama, despite having recently been awarded the Nobel Peace Prize, announced his decision to send an additional 34,000 troops to Afghanistan. 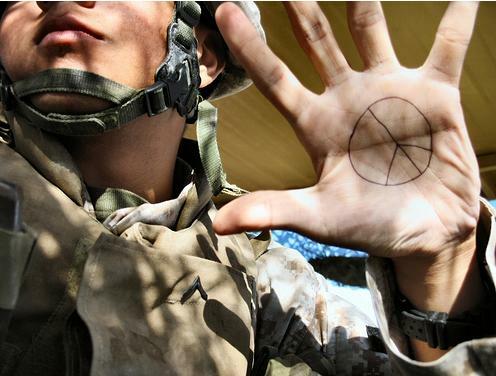 A study by Fairness and Accuracy in Reporting reveals pro-war voices outnumbered anti-war ones by a huge margin in the OpEd pages of the The New York Times and the Washington Post, the nation’s two top newspapers. As was the case in the run-up to the invasion in Iraq, the media again seems to be beating the drums of war. So tonight, we offer an alternative. We’ll be injecting an hour-long message of peace into the digital divide. Through songs, readings, and recordings, we’ll explore war becoming peace, the possibility of peace, and that eternal struggle between non-violence and armed struggle. >> Listen to 12/8/09: Peace!